Alabama, Marriage Index covers 1816 to 1957. Information varies from county to county but may include the names of the bride and groom, marriage date, marriage place, and the names of the parents. Coverage varies by county. Arizona, Birth and Christening Index covers 1907 to 1917. Information may include the child's name, gender, names of the parents, birth date, birthplace, and christening date. Coverage varies by county. Arizona, Marriage Index covers 1888 to 1908. 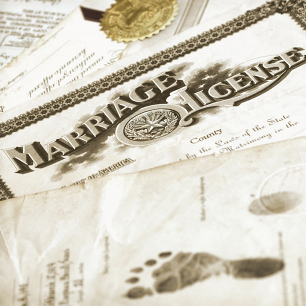 Information varies from county to county but may include the names of the bride and groom, marriage date, marriage place, and the names of the parents. Coverage varies by county. The majority of records are from Arizona, Cochise, Maricopa, and Yavapai counties. Arizona, Death and Burial Index covers 1910 to 1911 and 1933 to 1994. Information varies from county to county but may include the of the deceased, gender, parents' names, spouse's name, death date, place of death, date of burial, and place of burial. This collection includes records from Arizona, Cochise, Maricopa, and Yavapai counties. California, Birth and Christening Index covers 1812 to 1988. Coverage varies by county. Information may include the child's name, gender, names of the parents, birth date, birthplace, and christening date. California, Marriage Index covers 1850 to 1945. Information varies from county to county but may include the names of the bride and groom, marriage date, marriage place, and the names of the parents. Coverage varies by county. District of Columbia, Birth and Christening Index covers 1830 to 1955. Information may include the child's name, gender, names of the parents, birth date, birthplace, and christening date. District of Columbia, Marriage Index covers 1830 to 1921. Information varies from county to county but may include the names of the bride and groom, marriage date, marriage place, and the names of the parents. District of Columbia, Death and Burial Index covers 1840 to 1964. Information varies from county to county but may include the of the deceased, gender, parents' names, spouse's name, death date, place of death, date of burial, and place of burial. Archives.com members have access to more than 2.6 billion records. The Archives.com Collections page lists the latest additions. You can also stay up-to-date by watching this blog, following us on Twitter (@Archivescom) or liking us on Facebook.